Acer has added a new member to its “Swift” series of ultrabook laptops available in India. The newest addition, Acer Swift 5, is ultra-compact and weights less than a kilogram, allowing you to take it along (almost) everywhere. The ultrabook will be available at major retail chains and e-commerce websites for a price starting at ₹79,999. The Acer Swift 5 features a 14-inch Full HD IPS display with Acer’s Color Intelligence Technology which adjusts the saturation of hues, brightness, as well as the amount of gamma radiation in real-time to suit the eyes of users. The screen is surrounded by thin bezels which, as per the company, significantly reduced the ultrabook’s footprint to match that of a 13-inch laptop. 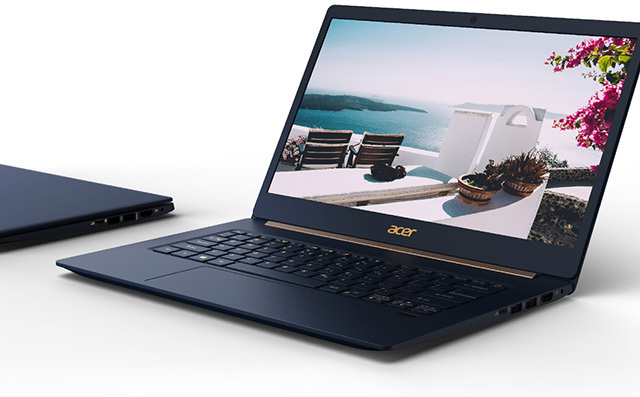 Eighth-generation Intel Core processors with Intel UHD Graphics 620 fire up the Acer Swift 5, and buyers can choose between an i5 or an i7 model. The CPU is coupled with an 8GB of RAM while 512GB SSD is included to make sure that in spite of mobility, you don’t have to be selective about what to store on the ultrabook. In terms of connectivity, the Acer Swift 5 comes with two USB 3.1 ports, headphone jack, HDMI, and a USB-C port. Users can use the USB-C port to not just connect external monitors and transfer data but also to charge the laptop. It also comes with dual-band Wi-Fi and Bluetooth 4.1. It packs in a 4670mAh battery which is meant to last over eight hours, as per Acer’s claims. The ultrabook also supports authentication using Windows Hello via the included fingerprint scanner. The audio on the laptop is powered by a combination of Acer’s TrueHarmony and Dolby Audio Premium technologies. 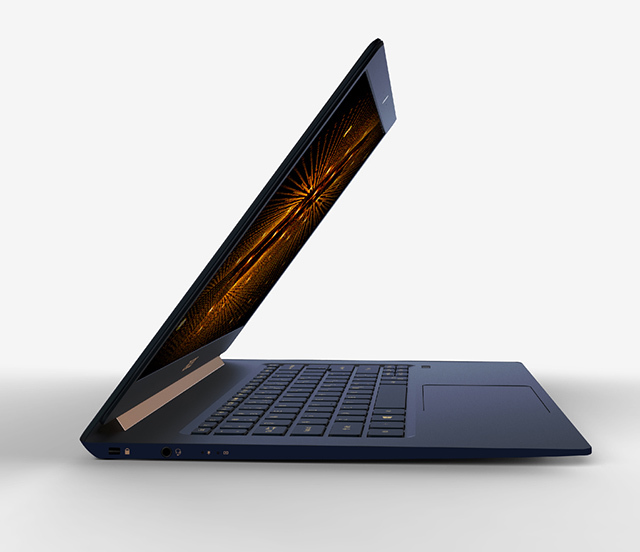 With a thickness of 15mm, the Acer Swift 5 is thinner than the 2015 MacBook Air and complements Acer’s existing Swift range of super-portable yet powerful laptops and will compete with the likes of HP Envy 13 (₹71,299) and Asus ZenBook (₹79,000).